for the posts of 3rd Grade Teacher (TSP & Non-TSP). Completely checked Online Application Form is invited from dedicated and deserving individuals latest by dead line. Motivated participants who are willing to become teachers they are suggested to go through the official website of this Vibhag and then deposit the form to stay remain in this process of career. Dear applicants prepare well to pass written exam to recruit for high salary. Before apply you are advised to check skills then proceed further. 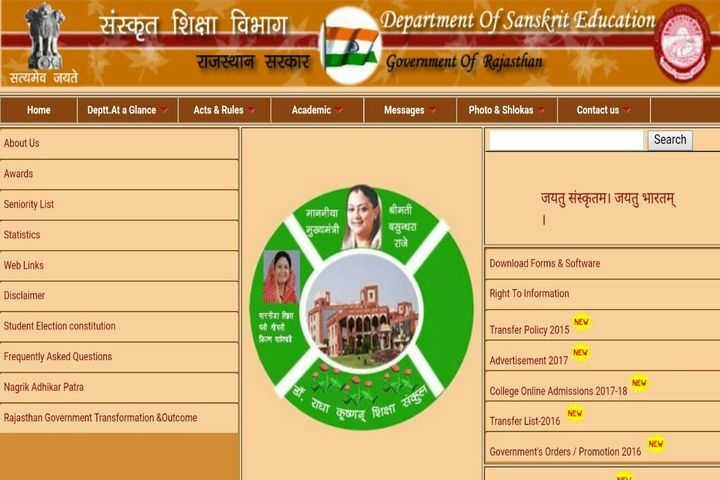 Other information connected with method to apply for Rajasthan Grade 3 Teacher Recruitment is declared below by the team members of ejobhub for the visitors of this portal to help them. All candidates should read about the applying method and then submit checked form on or before last date. Friends you need to keep safe one copy of deposited form in hard copy. More possible notifications of jobs as per qualification will be announced in the official website of this vibhag that is education.rajasthan.gov.in. Now you also stay tuned with this post to get other new public sector jobs through this portal. All the best! Salary Scale: Recruited applicants will get Rs. 23700/- as basic pay with other allowances and perks. Applicants must have Senior Secondary (or its equivalent) with at least 50% marks and 2- year Diploma in Elementary Education (by whatever name known) against Rajasthan Teacher Recruitment. Graduation and passed or appearing in final year of two-year Diploma in Elementary Education (by whatever name known) for Rajasthan Teacher Recruitment. Candidates must have qualified Rajasthan Eligibility Test (REET/RTET) exam. Age Limit: Age of candidates should not below than 18 years and not exceed above than 40 years as on 1st January 2019 to apply for this chance. Relaxation will be provided to reserved category as per government norms. After that choose “Apply Online” link or fill online application form with complete details in correct manner.